Yay new feature time! So in a recent poll readers voted that they’d like to see more discographies from artists posted in the blog. 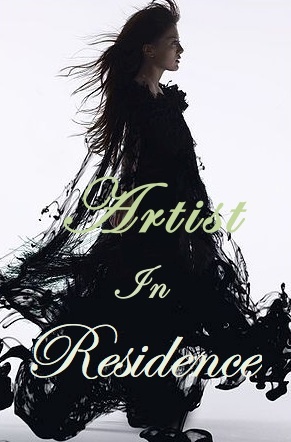 Kowezhi and I had the idea to create an “Artist in Residence” feature in order to carry out this task. An Artist in Residence program is something I had when I was in 5th and 6th grade. As part of a magnet school different artists would come in and show us their craft. We’d like to create that same atmosphere here at Tsuki no Ai. Although this picture features alan (I was looking for an excuse to use it in a graphic), all different kinds of artists and bands will be featured. Since this is relatively new for me I’ll be doing a memorable artist with a manageable sized discography: ayaka. At the moment ayaka has put her career on hold in order to treat Grave’s disease. In the meantime all we lowly fans can do is listen to old favorites until she comes back. If you haven’t heard of ayaka, then you’ve most likely been living under a rock (with a force field of Ayu stans surrounding it). Hopefully I’ll be able to do this incredibly talented artist justice. You are currently browsing the archives for the Artist in Residence category.